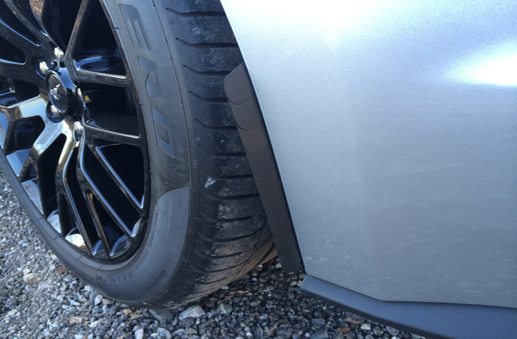 XFlap™ Mud Flaps, the future of stone and splash protection is here! Jaeger Brothers Automotive Accessories is proud to announce Xflap Conformable stick-on stone, mud, splash guards. Patented. Made in USA. Go to the XFlap product page now. XFlap product page. Thank you for visiting Jaeger Brothers Automotive Accessories, founded in 2005 as a specialty manufacturer of our exclusive patented JFlaps™ Instant Splash Guards. We now offer flat $4.00 shipping to anywhere in the US! US shipping only, please inquire about International shipping. If you ever have questions or problems with any products offered on Jaeger Brothers Automotive Accessories, please contact us we are here to help. Contact us here. Originally designed for Concours Driven and Show cars, Jaeger Brothers exclusive Patented Splash Guards (or Mud Flaps), were created to protect your car from stone chips and paint damage and install or remove in seconds. All of our JFlaps splash guards mount to your car instantly using a high quality US Made friction-fit push-on molding which has a steel core and is completely covered with soft EPDM rubber. The molding grips the edge of the fender and allows the splash guards to be installed or removed instantly, with no danger of falling off or damaging the paint finish. 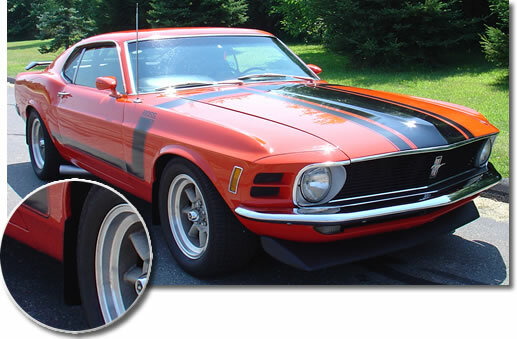 The front splash guards for late model mustangs also use the factory push fasteners which are removed and then reinstalled once the flap is in place and have EPDM rubber strips that suspend the flap above the paint surface to protect it. JFlaps™, The only real No-Drill, No-Screw Splash Guard.